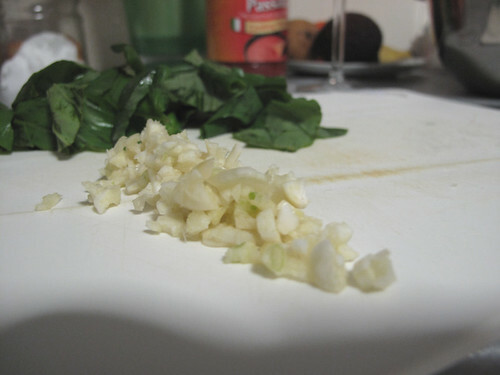 P*** Easy Penne Napolitana | A Weblog about.... food. Totally agree with a simple meal and that bottle of wine after a very long day. 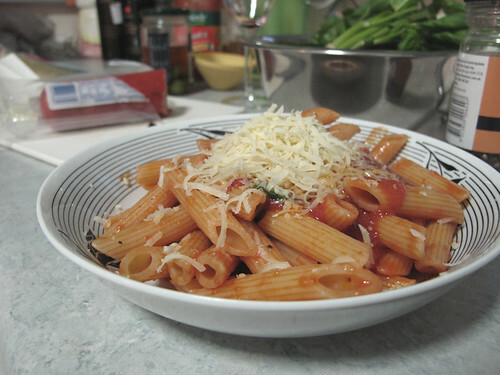 Lucky us, we make sure there is always a bottle somewhere and your penne looks wonderfully homey. 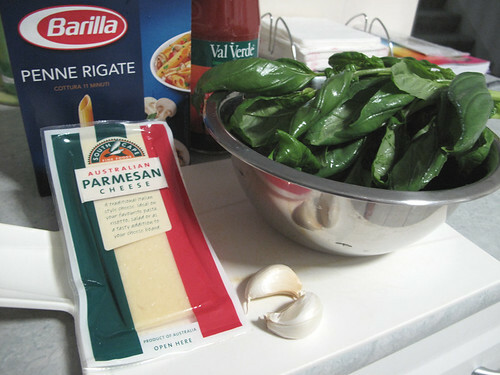 since it was a cold and rainy night last night, I decided to try your recipe, I made afew modifications however, i decided to leave out the pasta and just go with the bottle of wine…………..it was really good, thanks for the tip! i did wish i had the pasta however, right about the time i lifted my head off the pillow this morning…………..
What i want to know is, why is there a suspicious half cut salami (or similar) in the background, when it’s not in the recipe? Haha thanks. I guess with you being a chef cooking is the last thing you want to do when you get home!